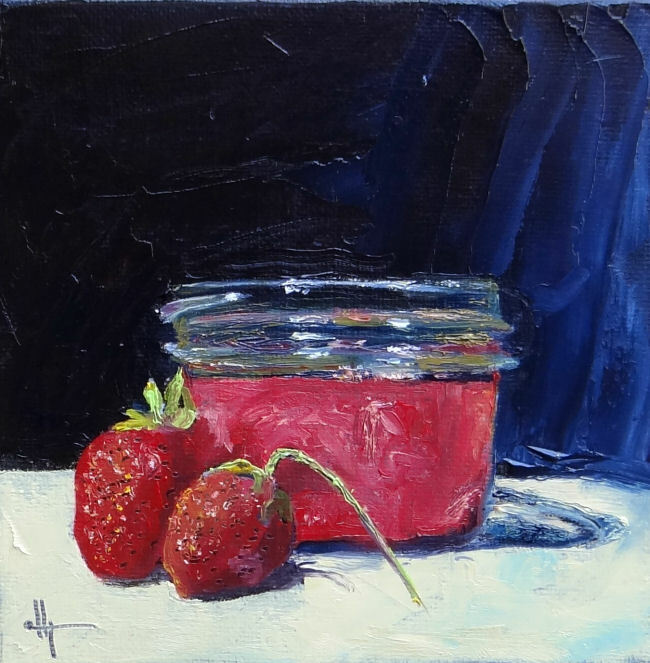 It is strawberry season and time for jam making! I think this might have worked better as a painting if I would have had a separation between the strawberries and the jar, but I do like the dark blue background. And at the end of the day - I still have the jam to critique!